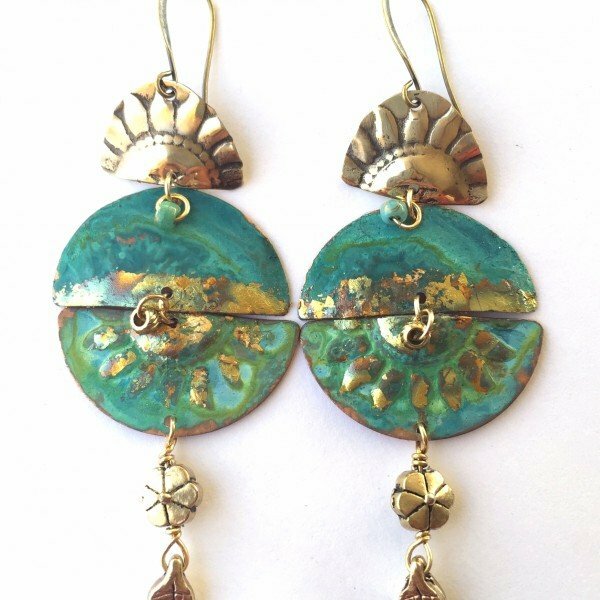 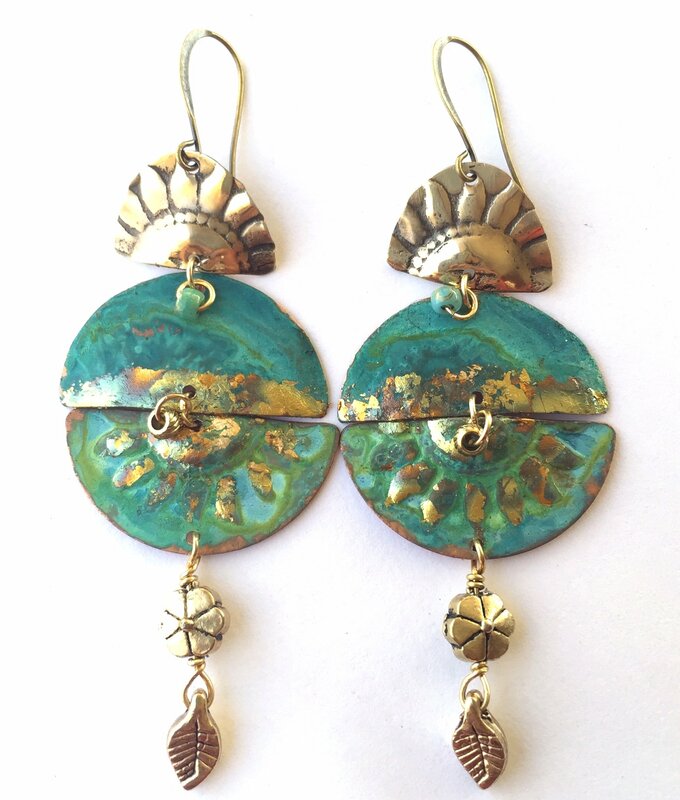 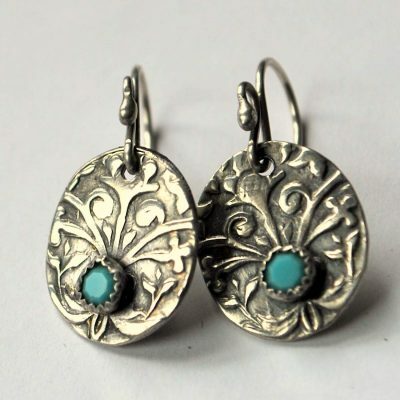 Patangles – Gold Gilded Sun Patina Earrings with Leaf and Flower Dangle Earrings are designed with green and turquoise gilded patina crescents Blue patina charms are created on copper with gold leafing for sparkle and brass crescent sun shape is created on brass and antiqued. 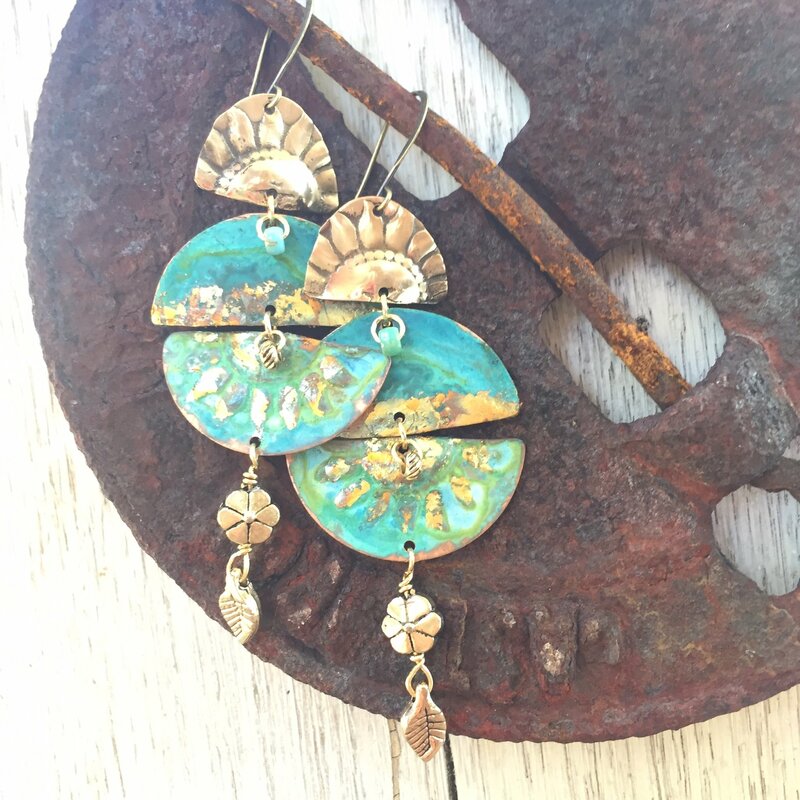 Gold plated flower and leaf charms drop from bottom of patina charms & completed with antique brass finish hook style ear wire (base is natural brass). 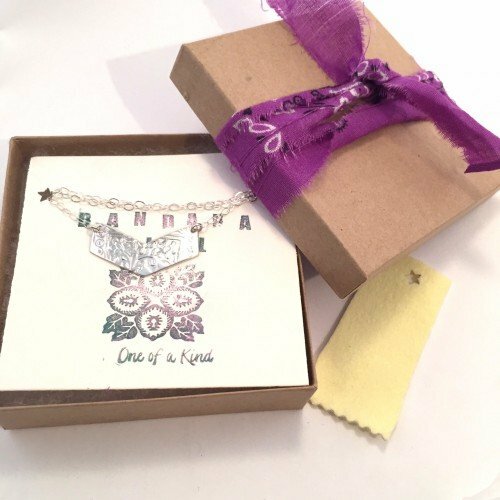 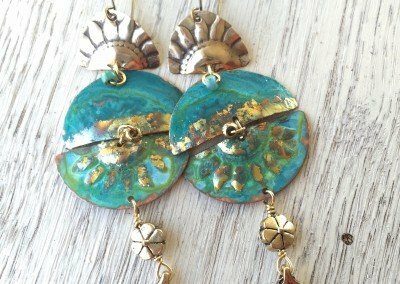 Bring out your inner fashionista and bohemian personality! 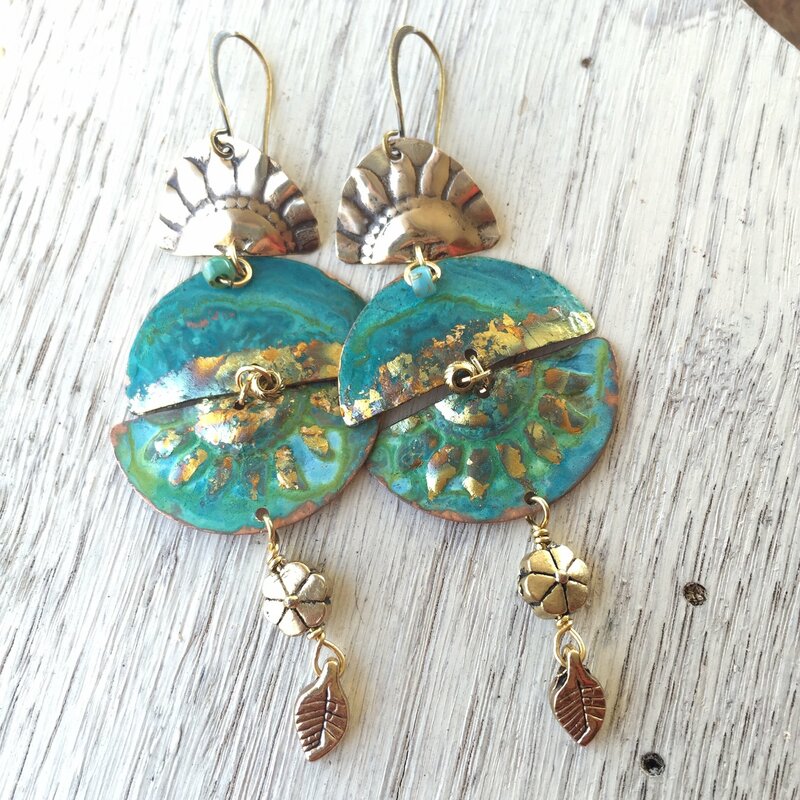 Great boho design and sure to get the attention you deserve! 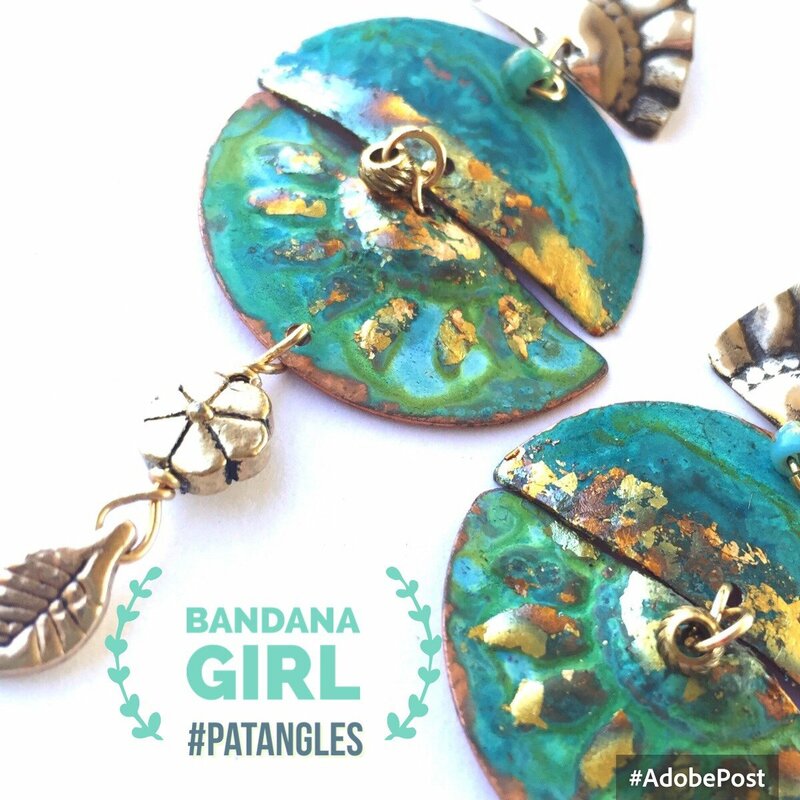 Patangles will be your go-to earrings for any outfit! 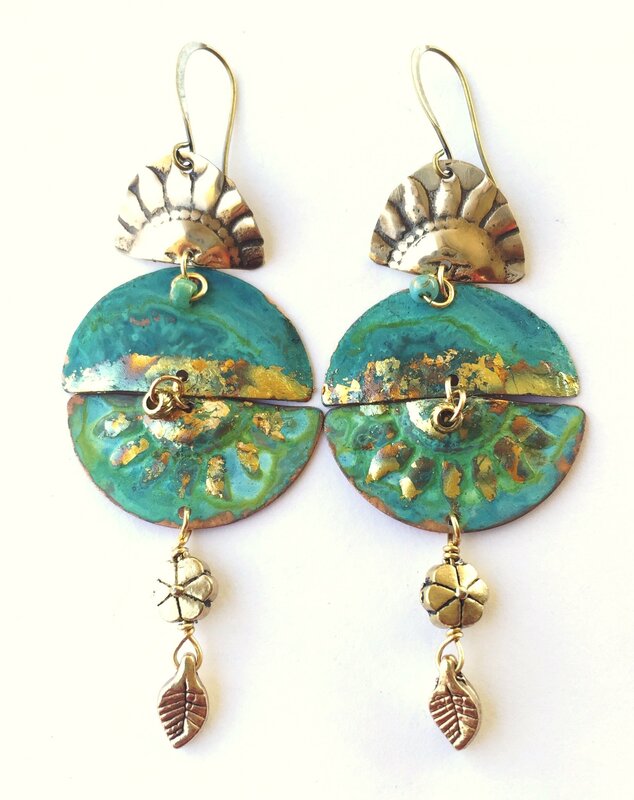 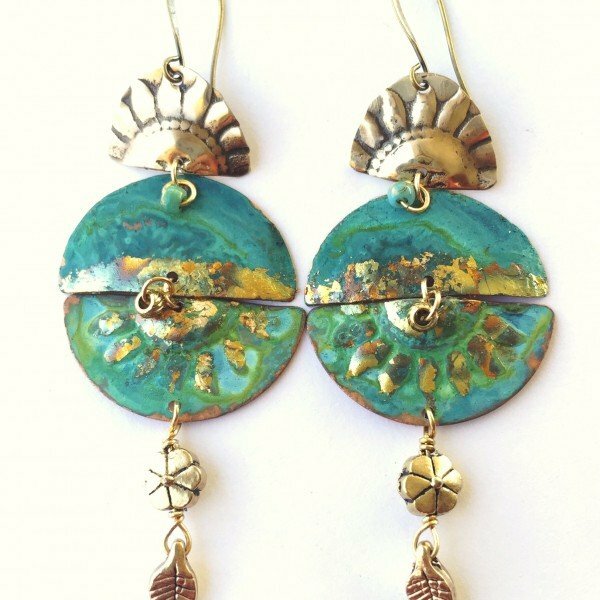 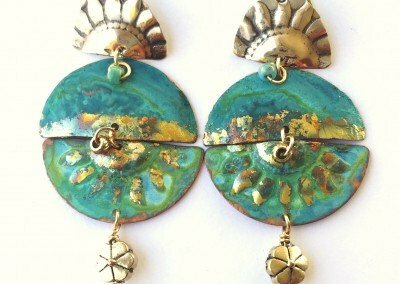 Great earrings for sun and nature lovers. 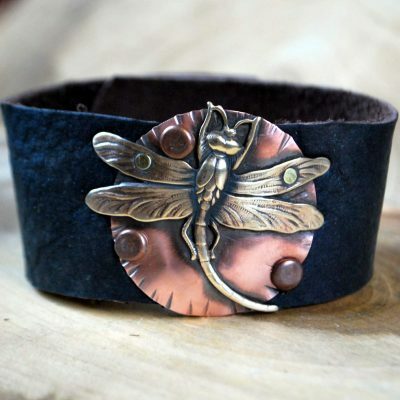 Patangles are the newest addition to our jewelry line. 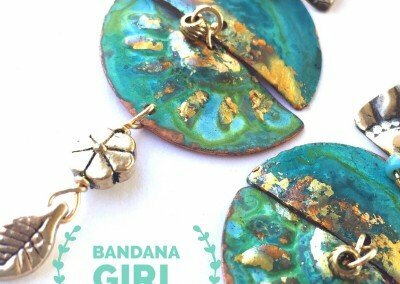 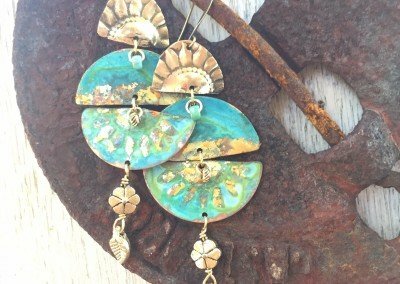 Patina-dangles are Patangles! 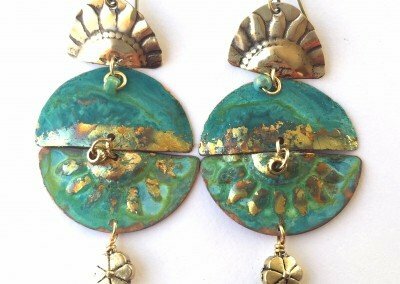 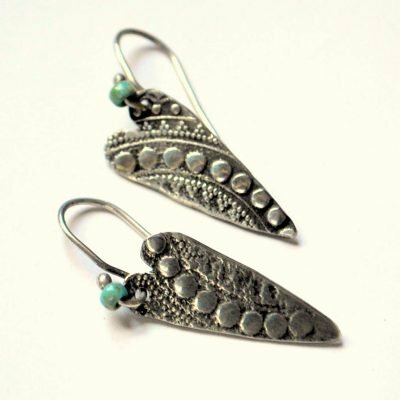 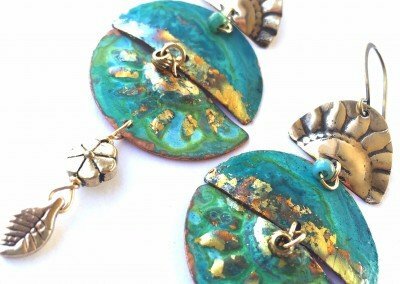 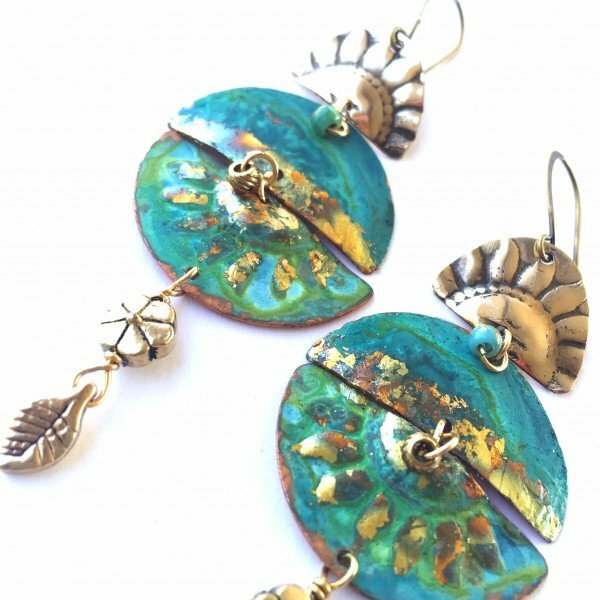 Multi layers of metal drops with decorative patina, silver leaf dangle earrings with original patina work on natural copper, brass, bronze and/or aluminum.